DJ Mackay & Partners in Glasgow can provide legal assistance if you have suffered an accident in the workplace. It is a legal requirement for your employer to ensure that all reasonable steps have been taken to minimise the risk of injury at your workplace. In doing so your employer must not only provide a safe place of work, but also a safe system of work, provide suitable equipment, recruit competent staff and provide adequate training. 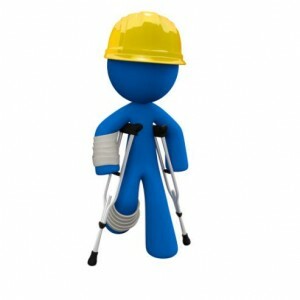 Statistics show that less than half of employees claim for accidents at work they rightfully could have. Part of the reason for this is that people fear upsetting their employer. Every business should have insurance so it should not cost employers directly. Also, no employer is allowed to discriminate against an accident victim. You should also remember that if you do claim your employer is far more likely to fix the problem so you are helping your work colleagues by ensuring injuries like yours don’t happen again. Call DJ Mackay & Partners in Glasgow on 0141 353 8700 to speak to one of our fully trained legal advisors or get in touch via the contact form on this page and one of our legal consultants will contact you at a convenient time.